Author-date, which is used mostly in science and social science disciplines. Author-title, which is used mostly in arts and humanities disciplines. Also known as MLA. Harvard referencing system and Vancouver referencing system are the two most used referencing systems. In harvard referencing system there are two referencing styles, namely, author-date system and author-title system. They both differ slightly from each other and we will discuss it in the end. Basically the author-date system is used in Harvard referencing. By looking in to the rules of citation related to author-date system we can learn about the Harvard referencing system. The in-text citation in Harvard referencing is very different as does the full citation at the end from other systems like Vancouver. The in-text citation in the Harvard referencing system includes author name, year of publication as well as the pagination. This information can be included before the cited source or just after that. Sometimes author include it inside the cited text. An example can be as follows, (John. 2009. p-45). The information is enclosed in the parenthesis, that is why, it is called as parenthetical referencing system too. In case there are two authors “and or &” can be used to describe their names and if there are more than two authors “et al” can be used. Lots of information about the source is provided with in the text citation and the reader can get much knowledge of the source. 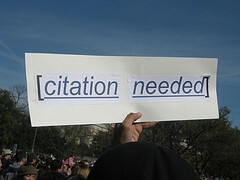 Full citation or reference that is provided at the end of the manuscript has the following rules. In case there is only one author: Simon, H. (2004b). The Renaissance Period in Art. 3rd Ed. New York: Macmillan Publication. In case there are more than one author: Simon, H. & MatThew, T. (2004b). The Renaissance Period in Art. 3rd Ed. New York: Macmillan Publication. In case there are three authors: Simon, H., Matthew, T. & Herbert, M. (2004b). The Renaissance Period in Art. 3rd Ed. New York: Macmillan Publication. In case there are more than three authors you can either provide the name of all authors as mentioned above or use et al. Simon, H. et al. (2004b). The Renaissance Period in Art. 3rd Ed. New York: Macmillan Publication. In Harvard referencing system there are many ways to cite same source, you should stick to one method and keep sticking to it throughout the manuscript to bring uniformity. You can underline the title of the book and journal or you can italicize it, use either method throughout the manuscript. You can use “and” or “&” to show two or more than two authors so use any one of them. Punctuation style should also remain same throughout the manuscript. Use similar punctuation style in in-text citation as well as in full references. Use “et al” or mention all author names and keep it same throughout to make it a uniform style.